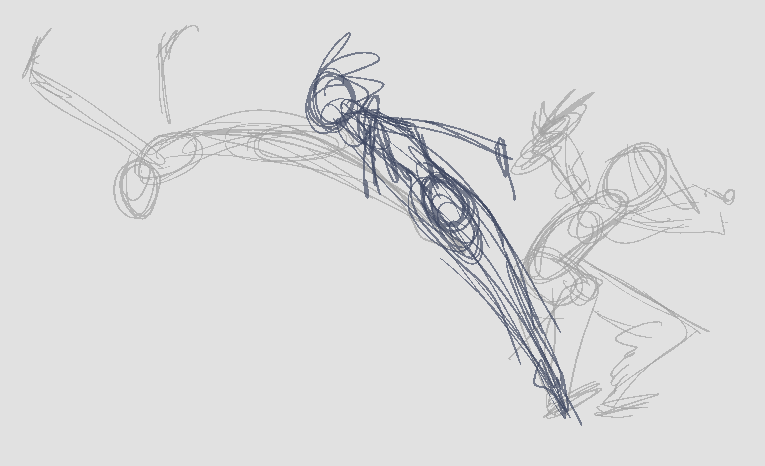 For a satisfactory animation, complete the main action before adding all the details. 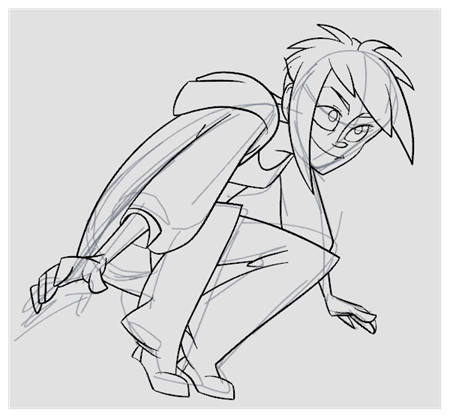 If you start animating all the details right away, you will lose a lot of time if you have to make corrections. 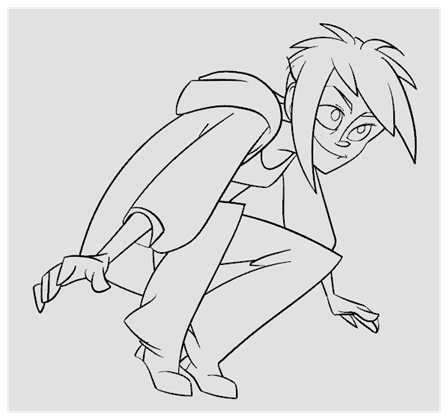 Your animation will often look too rigid. Press Ctrl + U (Windows/Linux) or ⌘ + U (Mac OS X) to open the Preferences dialog box. Select the Use Current Frame as Drawing Name option. 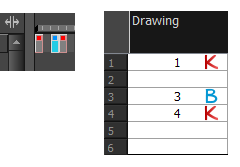 When this preference is enabled, drawings will be named like the frame they are created on (frame number). In the Colour view, select a colour for the brush. It is a good idea to choose a light colour for your rough animation. This will help you in the task that follows, the clean up process. In the Timeline or Xsheet view, select the cell where the first drawing will appear. ‣ In the Mark Drawing toolbar, click the Mark Selected Drawings as Key button. ‣ In the Xsheet view, select Drawings > Mark Drawing As > Key Drawing. ‣ In the Timeline view, select Drawings > Mark Drawing As > Key Drawing. In the Tools toolbar, click the Onion Skin button. 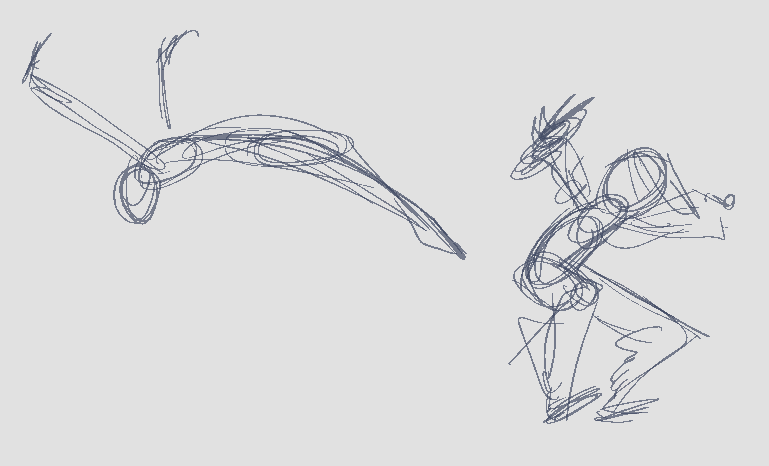 The Onion Skin feature displays your previous and next drawings as visual references to help you draw your new pose. In the Timeline view, click and drag the blue onion skin markers to extend the number of previous and next visible drawings. From the Timeline toolbar, click Create Empty Drawing to create an empty drawing or press Alt + Shift + R.
‣ In the Xsheet view, right-click and select Drawings > Create Empty Drawing or press Alt + Shift + R.
NOTE: Instead of creating an empty drawing, you can simply start drawing. If necessary, in the Xsheet or Timeline view, identify the new drawing as a key, breakdown or in-between drawing using the Mark Drawing toolbar. Use the Flip and Easy Flipping toolbars to review your animation—see Flipping and Easy Flipping Toolbars. To loop playback, move the red playhead to the desired start frame and click the Start button on the Timeline toolbar. Move the playhead to the last frame of the playback and click the Stop button. in the Playback toolbar, click the Loop button to start the playback. In the Playback toolbar, click the Play button to start the animation. 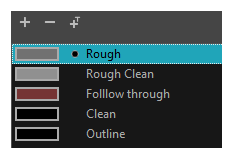 You will need to add a new drawing layer to draw your clean. 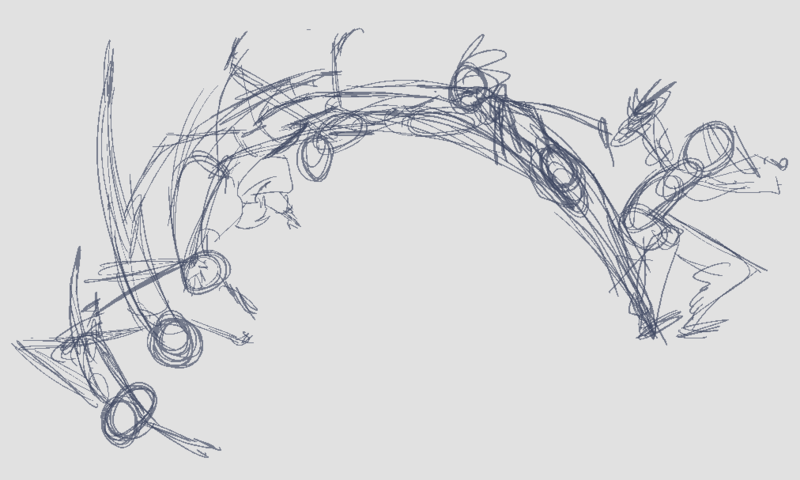 This is the equivalent of adding a sheet of paper and tracing the rough using the animation disk. This method allows you to keep the roughs and the cleans intact. 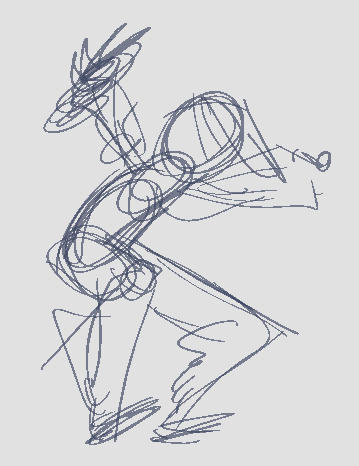 You only need to disable the rough layer to prevent it from appearing in the scene. If you plan on tracing your animation in the Drawing view, you can turn on the light table to display all the layers in your project. 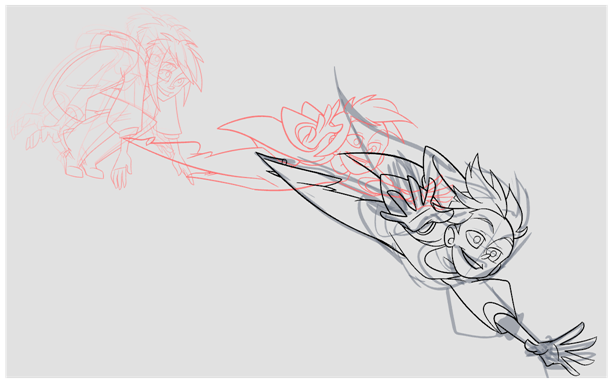 If you have other layers in the way, you can disable them temporarily in the Timeline view, so that only your rough animation and your clean up layer are displayed in the Camera view. If you are not using the Onion Skinning by Drawing option, extend the Onion Skin range in the Timeline view, otherwise use the Onion Skin Add One Previous Drawing and Onion Skin Add One Next Drawing buttons in the Camera or Drawing View toolbar to add drawings to your onion skin display.